Thanks to this prompt, I’m reposting another early Dubious Magic story, set during the early events of Book 1: The Wizard of Waramanga – in which Wilko gets a little foretaste of the weirdness he’ll come to know around John B. Stewart. It had been an unexpectedly successful weekend for both of them, right up until very recently. John B. Stewart and Robert ‘Wilko’ Wilkes were a pair of fairly ordinary Canberra public servants. Except for John B. having magical powers ever since he’d hit his head on a poker machine. The Tasmanian Wilko didn’t believe a word of that story, no matter how earnestly John B. tried to convince him that his wishes now came true. Not always predictably, he would admit, but results happened. What they did agree on was a fondness for a game of golf. When the chance arose to play in a social tournament in a little country club a few hours drive west of Canberra, they’d agreed it seemed a good way to spend a couple of days. Kraven was Stewart’s battered but well-loved old Hillman Hunter. Wilko had been slightly concerned – the old car had been the recipient of some of his friend’s rather dodgy ‘running repairs’, but the offer was generous and the Hunter did seem to be reliable at the moment. The golf had gone remarkably well. John B. had won a ‘nearest to the pin’ prize on Saturday, and Wilko had gone from a decent Saturday to a terrific Sunday, becoming the upset winner of the overall competition. It wasn’t a great financial windfall, but it was a nice trophy and a few extra dollars to put over the clubhouse bar. So it was rather later than they’d originally intended when they finally waved their farewells and headed east. John B. had been as good as his word and had very little to drink. A couple of good single malts spread over the hours, interspersed with plenty of soda water. He was tired, though. Sharing a hotel room with Wilko was challenging. The Tasmanian was a heavy sleeper, and completely oblivious to his own snoring. John B. wasn’t so lucky. The sun was well down as the Hillman trundled along the road. It wasn’t a well-finished surface, and the ride was a bumpy one. It was one particularly bad pothole that had been the cause of the sudden change in their fortunes. Kraven’s front left wheel had hit hard, the car had bounced and landed heavily. When it did, all the lights went out. 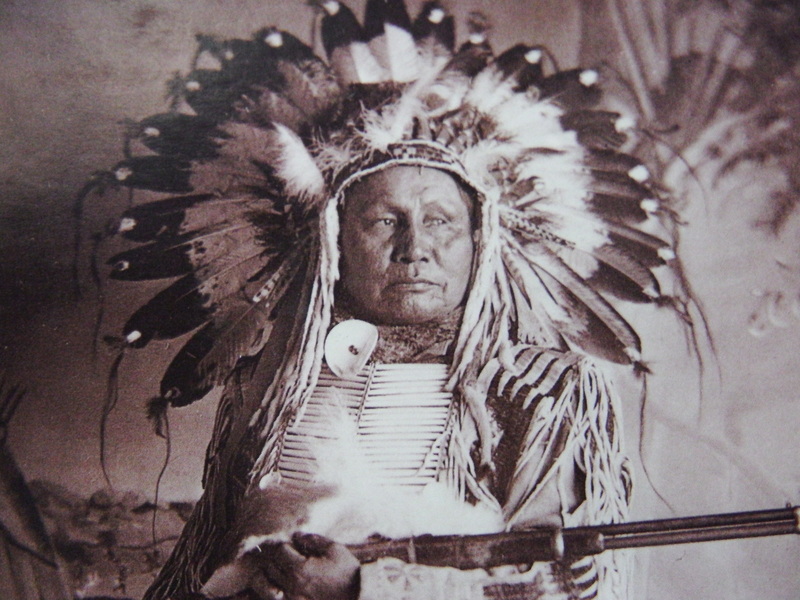 As a young man, White Bear fought with the Dakota Sioux at Pryor Creek. This story is based on true events, recounted in Joseph Medicine Crow’s book “From The Heart Of The Crow Country”. Both Crow and Sioux survivors of the 1861 Battle of Pryor Creek agreed on many of the details, including those of the more mysterious incidents. Some could be regarded as significant coincidences, while others defy even that explanation. I’ve embroidered the history with some of my own ideas around ‘magic’. The Sioux tribes of what would one day be called Dakota had gathered. The wagons and guns of the white men were pressing them westward. Men seeking gold and a “new life” had poured towards the Rocky Mountains, wiping out the buffalo herds and desecrating the sacred Black Hills in their search for the yellow metal. The tribes had fought but the numbers were overwhelming. This new vast land they had reached was still rich with game, and still free from the encroaching whites. It was the country of the Scared Raven people – the Absarokee. You might call them the Crows, and the land Montana. The Absarokee were known to be strong, but also known to be few in number. A Dakota chief addressed the assembled council of war chiefs and warriors. Another early Dubious Magic story, set during the early events of Book 1: The Wizard of Waramanga – in which Wilko gets a little foretaste of the weirdness he’ll come to know around John B. Stewart. With thanks to Dana and Julie for giving me some time to work on it, and to Meredith for giving me reasons. John B. rummaged under the bonnet by torchlight to no avail. There was a small place a little way ahead. Less than a town, it was barely a village, but it was a destination that could be reached by driving carefully with Wilko holding the torch out the window. That plan worked well until it started to rain. Torchlight through the wet front windscreen proved woefully inadequate to drive by. They limped the car slowly into Bullangar and found the only hotel in the place. “Yeah, I wish you could too,” said John B. with a sigh. He and Wilko turned to go back out into the rain. “Looks like we’ll have to sleep in the car,” said Stewart. “Bit cramped, but I guess you’re right,” agreed Wilko. ‘Noisy, too,’ was John B.’s unspoken thought. “Not keen, but what have you got in mind?” asked the driver. “You know what they say, where there’s a will there’s a relative,” John B. answered with a smile. The two golfers looked at each other and shrugged. “What’ll it cost?” asked Wilko. “Mate, you’re a champion! Thanks!” said John B. warmly.